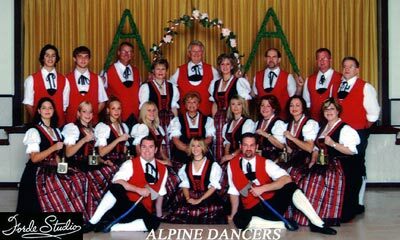 The Alpine Dancers are a truly authentic and polished Austrian folk dance group who love to perform for audiences small and large. 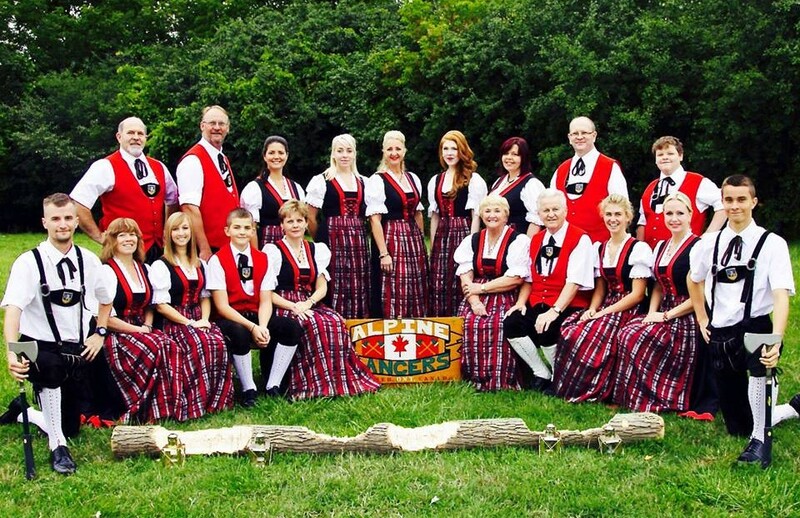 They perform at a variety of events throughout the year, including KW Oktoberfest of course – check out our upcoming events tab to find out where you can catch their performance next. 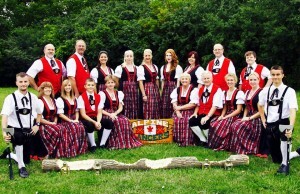 The 40th anniversary of the Alpine Dancers being celebrated on Saturday, May 11th, 2019. 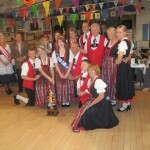 All former dancers from Alpine Club Dancers from 1954 to date are invited to join us for this celebration. 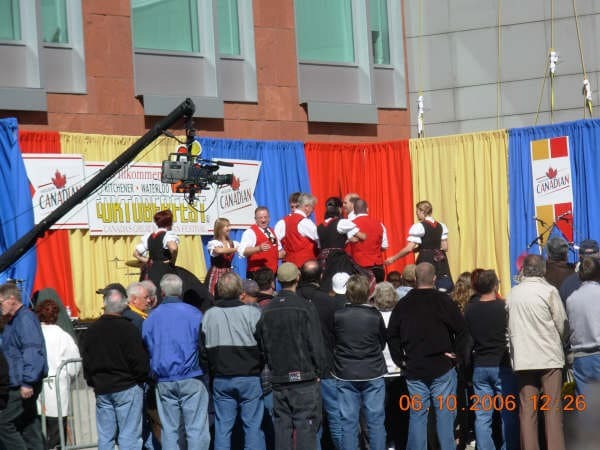 Back in the earlier years of the Alpine Club, a group of club youth performed at various club functions throughout the year to add entertainment to these events. Later in 1979, the Alpine Dancers, as we know them today, were officially formed under the direction of Hans Kroisenbrunner Sr. After a short few months of practice, the Alpine Dancers started performing for club functions and later began attending out of country events such as the Gottscheer Treffens in New York, Milwaukee and Cleveland beginning in 1983. 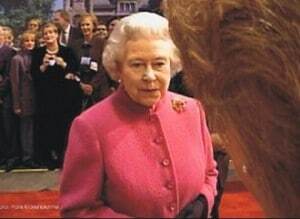 ~ 50th Jubilees for HRM Queen Elizabeth II – we were honoured to be asked by the DKK (Deutsch-Kanadischer-Kongress) to represent the German speaking community at this special celebration amongst a mere 8000 invited guests crowded the Trade Centre in Toronto on Wednesday, October 9, 2002. 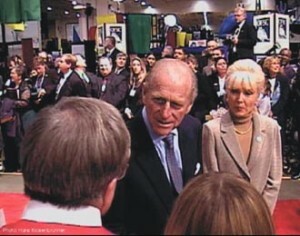 Everyone anticipated at least seeing Her Majesty and Prince Phillip close up. 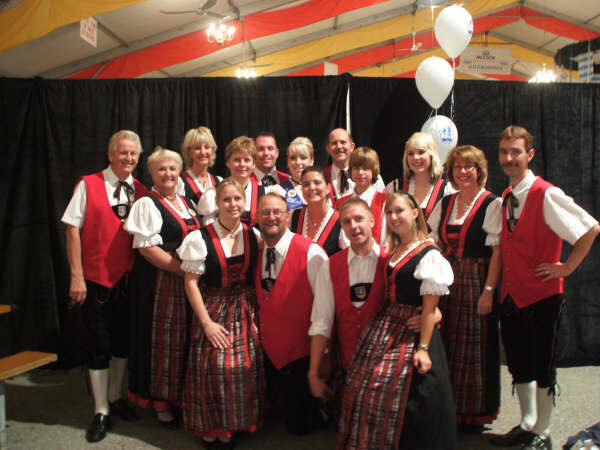 Yearly, during the nine day festival here in Kitchener-Waterloo – our group performs an average of 20 shows both at the Alpine Club and at other festhallen. 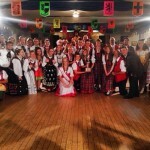 Since 2008, we have also competed in the So You Think You Can Tanz competition. We have been crowned champions of this annual showcase in 2009, 2011, 2013 and 2017. This friendly competition also earns us the spot to perform at the upcoming festival opening ceremonies. 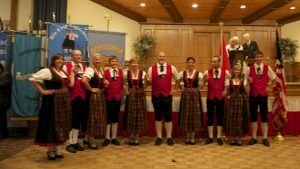 “Ein Abend im Alpenland” (An Evening in the Alps) was started by the Alpine Dancers and serves to this day as our only fundraiser and is held annually at the Alpine Club. 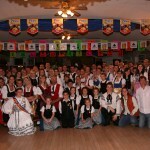 This year this event will be held on Saturday May 11th 2019. 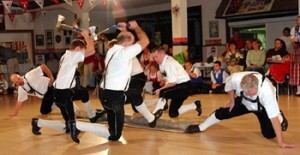 All “Tracht” (costumes) equipment and supplies are purchased with those funds and are supplied to the dancers and remain the property of the Alpine Dancers. Follow Us On Social Media! 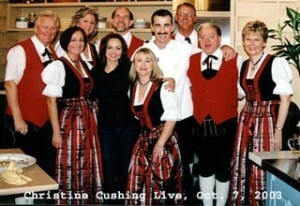 Click on any image to see more!